If only we could help people appreciate what they have before it's gone. A few days ago, three houses were torn down on Clark Avenue, which are adjacent to 401 Oberlin Road. It won’t be long before this elegant mid-century gem is torn down as well in advance of a new mixed-use project. 401 Oberlin was built in the same year (1957) as the iconic Chevy Bel-Air. Like that classic American car, this building makes use of chrome and reflective metal trim, interesting geometric shapes, well-proportioned elegant windows, as well as functional beauty. 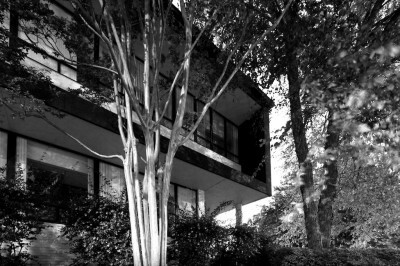 It was designed by Leif Valand, who was commissioned to design most of Cameron Village’s buildings early on. One of the best parts of this building is how it incorporates parking, unlike many of its mid-century modern peers. The building footprint overlooks a busy intersection from a high vantage point, and cars are relegated to the rear of the building. 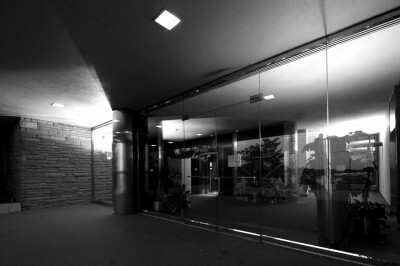 This creates an attractive visual landscape as well as provide office workers with a better exterior view. 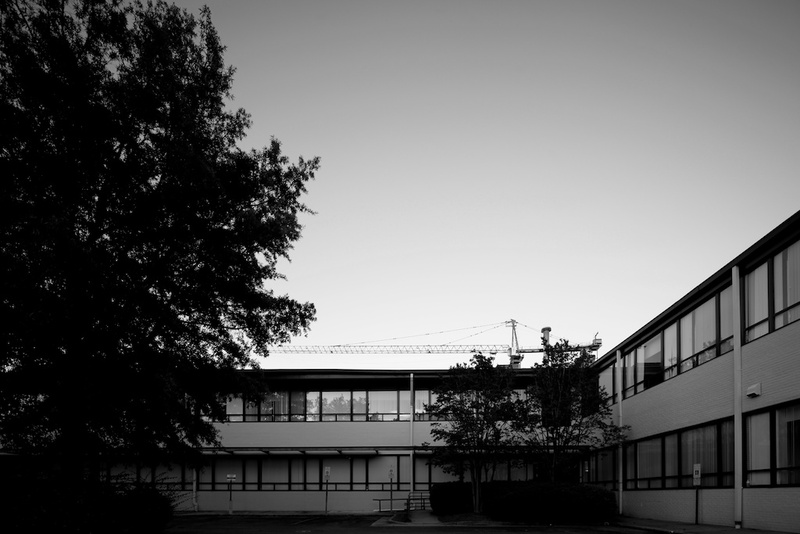 It’s easy to dismiss a 60 year old office building as outmoded and outdated in light of mixed-use development projects—such as the one replacing it. However, it’s important to remember that this office building existed in the context of what was once the largest mixed-use project in the South: Cameron Village. 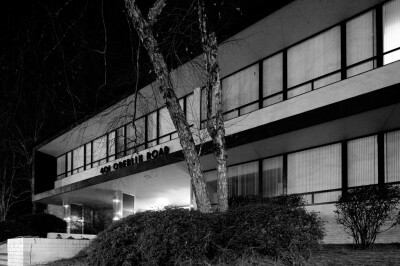 401 Oberlin was built on the outskirts of Cameron Village, on a block with similar-era and similarly designed buildings. Built of brick, with expansive glass, modest overhangs, and long flowing lines of these buildings created a gestalt that existed nowhere else in Raleigh.